Beehives provide us with many products such as Propolis, Pollen, Royal Jelly, Wax and, of course, Honey. 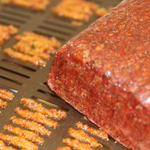 The products are either plant-based or directly produced by bees. Their natural active ingredients meet the needs of the entire family every day. The Beehive products made 100% by bees are Royal Jelly and beeswax. 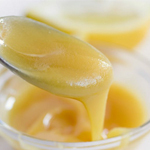 For many people, "the caviare of the beehive", is Royal Jelly which is often eaten in pure form and is also increasingly prized for its cosmetic properties. Propolia® combines it with the benefits of plants to ensure that its antioxidant properties fully release their protective power. This rare substance made by young worker bees is called "bee milk" in the beekeeping world because it contributes to the growth of larvae and the Queen. Beeswax is produced in the wax glands of young bees. 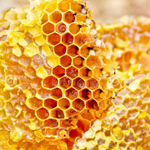 It is used to build the honeycomb, store honey and make larvae nests. Beeswax has many different uses depending on its make up.Propolia uses it in its cosmetics because it protects and hydrates skin, making it the ideal base for creams and balms. The plant-based beehive products are Propolis, Honey and Pollen. Propolis is a plant resin bees gather from the buds of certain trees. They take it back to their hive and use it for many different purposes. Propolia uses it in its entire Propolis Intense product line because of the rare and noble material's many benefits. It's the foundation on which our company is built. Propolis is also used in our skin care product line for its reparative and protective powers. 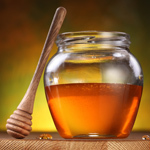 Honey is made from the flower nectar collected by bees and stored in the hive's honeycombs. Honey is renowned for its nutritional qualities and often contains some of the benefits of the plants it's made from. It's a basic ingredient for many Propolia® products. Its fructose content and synergy with other Beehive products make it a very good catalyst for natural active ingredients. 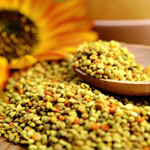 Pollen is produced by the male reproductive system of plants. Bees gather it in little basket-like areas on their hind legs and bring it back to the beehive. The bees use it to make bee bread, sometimes known as ambrosia. Pollen is a prime ingredient for Propolia® products because it provides consumers with protein and vitamins.